New features, pavilions, education opportunities: IBIE has opened registration with the announcement of enhanced and added show features. When the show opens September 8-11 in Las Vegas, Nevada, the enlarged expo floor plan will host more than 1,000 exhibitors showcasing the latest in automation/technology, ingredients and industry trends across the vertical supply chain for every role and every segment of the grain-based food industry. 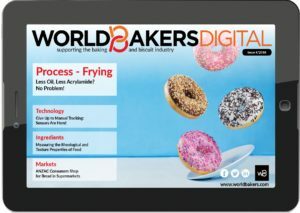 Joe Turano, IBIE chair, has shared with us the organizer’s expectations for the upcoming Baking Expo, in terms of trends we can expect to see showcased, and innovations that will debut: “It’s hard to say [what to expect] because many of our exhibitors time their new product launches with IBIE and unveil them onsite. The show floor will sell out again in 2019, he anticipated. 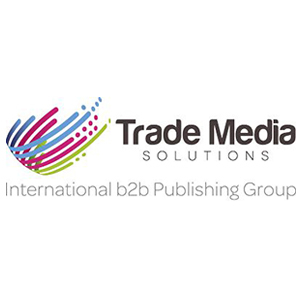 “Knowing this, the sales team has been very deliberate to focus on key product areas of interest based on attendee surveys to ensure the show floor reflects a breadth and depth of options, as well as new suppliers. 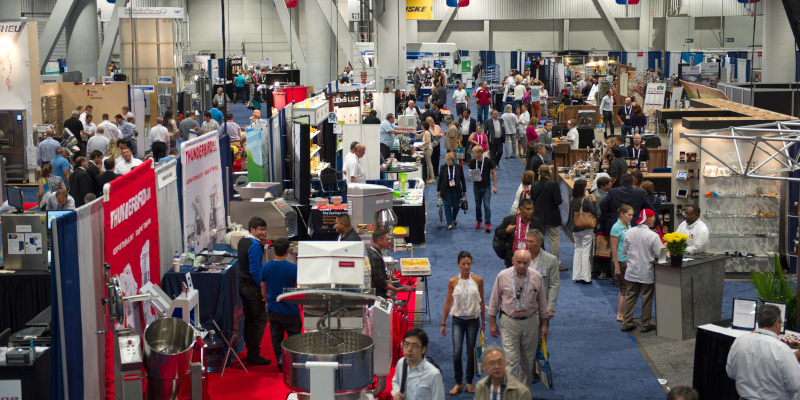 The planning committee has also expanded the IBIEducate program to include a full day of education prior to the show and has several new show “experiences” in the works, focusing around key areas of interest and/or innovation within the baking industry. Turano shared with us highlights of this education feature: “The IBIEducate line-up offers more classroom sessions, more hands-on sessions, more technical sessions as well as business sessions focusing on management and marketing topics. Sessions can be purchased individually, or attendees can get unlimited access through the all-new ‘All Access Pass’. IBIE will unveil two artisan marketplaces presented by Bre ad Bakers Guild of America and Puratos. These new state-of-the-art show floor destinations will introduce show elements specifically produced to support the growth of the artisan and specialty market segment. Curated competitions, staged demonstrations from celebrity chefs and Certified Master Bakers, tastings, expert Q&A sessions, exhibitor demonstrations and much more will bring the marketplaces to life. What should you expect from the agenda here? “IBIE will feature curated competitions, staged demonstrations from celebrity chefs and Certified Master Bakers, tastings, expert Q&A sessions, exhibitor demonstrations and much more. These show floor destinations are designed to offer a truly immersive experience for artisan and specialty bakers, cake decorators and pastry chefs – with learning formats to serve all needs, including hands-on demonstrations and unique product and ingredient exhibits. The demonstrations will be released by this spring,” Turano highlighted for us. The IBIE committee will ensure maximum value to IBIE attendees at every step of their show experience and along the industry supply chain. To help plan your visit in advance, the IBIE website, www.IBIE2019.com, has all of the information to help build your daily agenda with seminars, conferences, workshops, and booth visits. Over the past decade, IBIE has enjoyed a 65% increase in attendance and is on track to be bigger and better than ever with a nearly sold-out show floor.